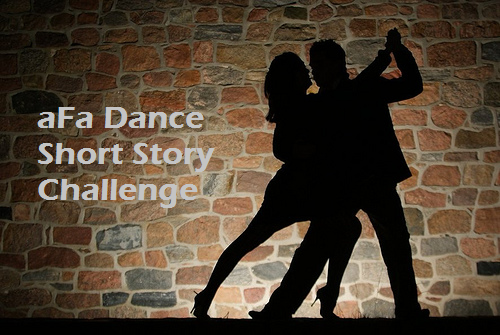 Note: To participate in this challenge, see the Challenge page/tab. She is the one for the next dance. He spotted me and doesn’t know who I am, but I know him. She displays a slight smile as I approach. He doesn’t know that I started watching him as soon as he walked through the door. She changes her face into a glow as I extend my hand. He doesn’t know what I have in store for him. She graciously engages my offered frame. He feels like a dancer. She transforms my leads into beautiful motions. He’s a better dancer than I expected, but not as good as he thinks. She glides the floor with grace and elegance. He doesn’t realize that I make him look good. She makes me feel like the king of the ballroom. He’s about to be surprised. She smiles in appreciation as the music ends. He doesn’t know I just delivered a signal. She’s the one for the next dance. Note: This post serves as the basis for the She/He Challenge. Click the here or the Challenge Page/Tab below the header/banner for more information. FYI: Unrelated to this challenge, see the SPECIAL Page/Tab for an important announcement. If – songs by Bananarama, Bread, Janet Jackson, Joni Mitchell, Red Hot Chili Peppers, Pink Floyd, Perry Como, Destiny’s Child, Rivermaya, Davido, and more. If – what if I had answered my own challenge with in a way other than my own. NOTE: I encourage readers to follow the pingback links in the Comments to other posts about If that answer the If Challenge. The story below is the revised version of my first attempt at fiction. I issued a challenge to develop a new ending: a) after “The music ends” and b) in 75 words or less. New endings will either be posted as comments on this post or as the whole story with the new ending the reader’s blog with links to this post. See the Challenge page for more information as long as it remains published. I encourage others to read all the endings. Do you have a favorite ending? Thanks for participating. They move to the music’s sharp, fiery rhythms that are intertwined with sensuality. Their eyes continue gazing in opposite directions to avoid a visual connection – yet, their bodies touch. They dance – they move – sometimes slow – sometimes fast – but always sharp and to rhythm. He rolls her out – they flick in unison. He tugs to roll her back into his arms. She shrugs him off by returning to hold with her head turned away. Their steps continue. He steps back – a lunge – a corté. She steps forward and raises her leg against his, and slowly moves it downward as a caress. He notices – she’s got his attention. 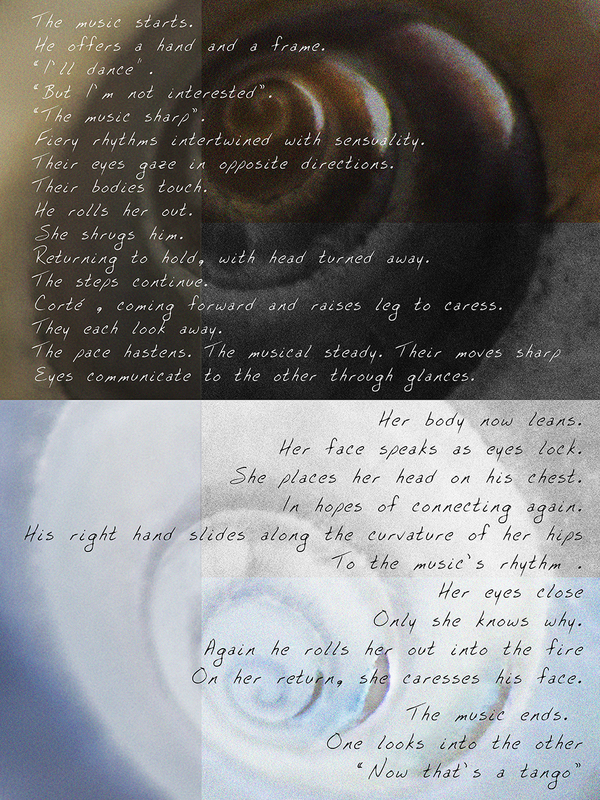 As he returns her to upright, their eyes connect through a glimpse – yet each looks away. The pace seeming hastens. The musical beat remains steady. Their moves remain sharp. Their eyes are starting to communicate to the other through glances. She leans her body into him and her head is no longer facing away. They lock their eyes for the first time, and her eyes and face speak to him when. She places her head on his chest. The normally sharp fans are now slow and smooth – yet still to the music’s rhythm. As she turns, his right hand slides naturally along her sleek frame. He notices the curvature of her hips. His head is not as high as he looks toward her with hopes of connecting again. To him, her face displays desire. Her eyes are closed, but only she knows why. They are now in another place. To him, they are in the midst of passion. To her, she is the seductress who has succumbed to his fantasy. He responds to the music’s fire with 8 fast steps down the floor. He rolls out as before, but on her return, she is close – and her right hand slowly caresses his face. The music ends. They pause – each smiles to the other. She says, “Great dance”. He responds, “Absolutely” as they high-five. Regulars recall my first venture into fiction (here). The comments provided many helpful suggestions (which I’m incorporating in the rewrite) and various concerns with the ending. From this, I’m issuing a challenge to any and all participants to develop a new ending. See the information below. The image below shocked me in multiple ways. 1) A reader took the time to do this … (I’m graciously honored) and then 2) I realized he based it on my words. I wanted to share this with you while publicly thanking Calvin for his time, efforts, and generosity. Earlier this week I did my version of the April’s A-to-Z Challenge. Overall, readers liked my approach, and a few even read and commented on the linked posts of their choice. 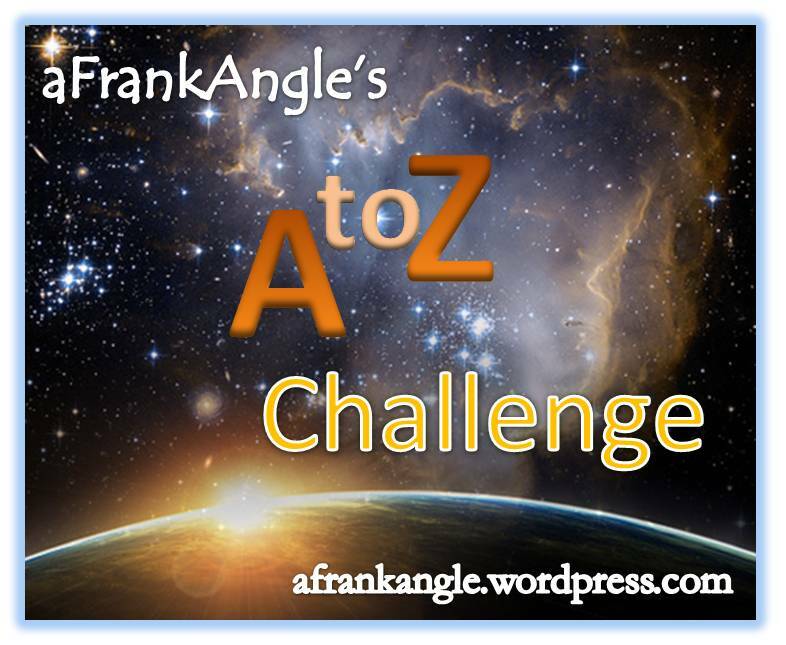 Meanwhile, Viveka, my favorite Swede and frequent visitor here, made a great suggestion that I’ve decide to implement her idea … It’s the A Frank Angle A-to-Z Challenge. I like this comment from Debra on the original post: This was a way to reintroduce yourself. Well said. With that in mind, planning my post wasn’t as time-consuming as some think. Planning is key, so start by keeping a few notes. The time-consuming part pulling the links together. I would like to see many of the readers here meet the challenge and promote it to others. No time limit, so I hope you promote it. Then again, the idea may fall flat. Here’s the link to the prototype. Feel free to reblog on WordPress. Otherwise, please respect me enough to ask. I moderate comments and as blog owner, I have the right to edit or not post comments deemed to be offensive, inappropriate, and/or unnecessary.